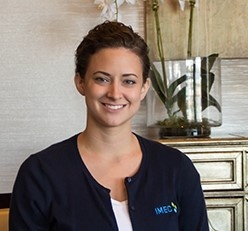 Ashley is a technical specialist who has been creating competitive futures across Illinois with IMEC for the last 3.5 Years. She brings 8 years of employee engagement and leadership development expertise to the team, as well as her passion for people. A client was struggling with high turnover rates. In an effort to solve this issue, they attempted to create and implement a compensation plan that would retain employees. I have seen employees leave an organization for less than a dollar, so I knew money wasn’t the long term solution. After some probing questions, I learned that the employees were leaving for reasons other than compensation. Together, we decided that an employee engagement survey was best. This resulted in a much less turnover rate and increased productivity. MOST CHALLENGING PROJECT THAT RESULTED IN POSITIVE IMPACTS? As with any project, everyone involved must be on the same page and approach it with the right mindset. While working on an employee engagement project, the client initially put up some resistance. In order to make necessary progress, we needed to change the mindset of leadership to understand how important it was to focus on prioritizing action items. After successful execution, we were able implement leadership development training, TWI, reduce waste and standardize work. NEW INDUSTRY TREND THAT DRIVES GROWTH THROUGH ENTERPRISE EXCELLENCE? Implementing stay interviews, onboarding for client services and new evaluation processes. COMMON TOPICS NOTICED WITHIN THE INDUSTRY? Attracting and retaining top talent. MOST USEFUL MEDIA FOR PROFESSIONAL DEVELOPMENT? Learn more about Ashley and how she can help you create your competitive future here.